With the Fusion Challenger, Chillblast is hoping that the lack of fully multi-core optimised games will justify the use of a dual-core CPU in this midrange gaming system. And it could work. With a decent graphics card in the system that should take a good portion of the load off the CPU in gaming terms. So to keep costs down, a dualie – especially one with Intel's HyperThreading shizzle – could work out. Of course at £700 this isn't exactly a budget buy, and it is possible to shop around and pick up something similar, with the next step up in CPU terms, for around the same sort of price – the frankly awesome Core i5 760. That said, the impressive overclock allowed by the 32nm lithography and Intel Core CPU headroom does a good job of keeping things solvent in gaming terms. The pairing of the i3 530 with the P55 Asus board means that chunky overclock is possible. If Chillblast had opted for a H55/57 board instead to give the user the option of utilising the graphics core integrated into the 530's CPU package, it's doubtful it would have managed such a stretch of the clockspeeds. With the GTX 460, even in 768MB trim, you're unlikely to ever want to switch it off in favour of integrated graphics anyway. Green PC-ing be damned. Indeed, CPU aside, this is an incredibly well-specced machine. That Asus mobo is one of our favourite P55 boards, the 1TB of storage is more than ample and the 4GB of overclocked DDR3 backs the whole system up perfectly too. Unfortunately it's still that comparison with an i5 760 system that puts a fly in the ointment. For a bit more cash, the full-fat 1GB GTX 460 will give you a decent performance boost too. That combination in the excellent CyberPower Gamecube, now available for £860, gives a tangible increase in gaming power. If you're going to be doing anything other than gaming on this rig, however good the GTX 460 is, you're going to be hobbled by that dual-core CPU. Looking at the Cinebench and X264 scores between the two processors you'll see at a drop off of around 33 per cent in number-crunching power at best. Still, if you're a dedicated gamer, with a strict £700 budget, the Fusion Challenger isn't necessarily a bad way to go. 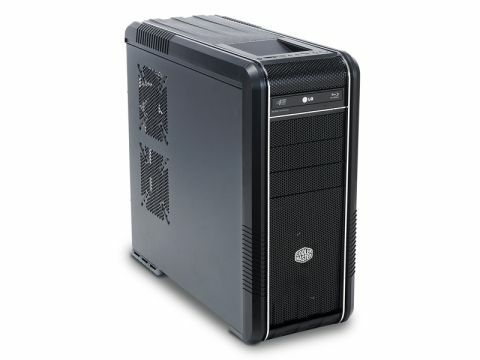 Before splashing the cash however it might well be worth having a look around at different system integrators to see if you can pick up that magical i5 760/GTX 460 combo for a similar sort of price.